Think green means go on the Low FODMAP Diet? While the Monash University app and other resources provide lists of “high” and “low” FODMAP foods, there are still a few things to consider when managing your FODMAP load. One of which is FODMAP stacking. 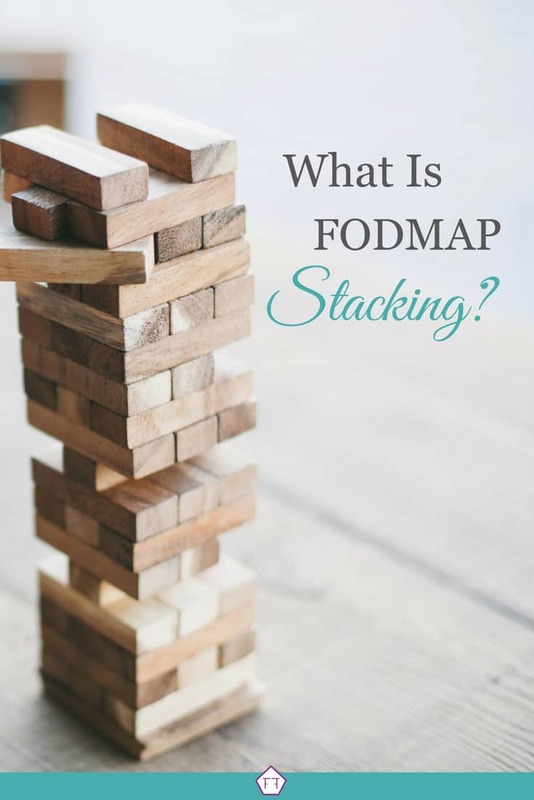 So, what is FODMAP stacking and what does it mean for you? Read on to find out! The first thing you need to know about FODMAPs is that everyone has a personal threshold for each FODMAP group. Your personal threshold is the drop-dead line where you consistently experience symptoms. This is what you’re testing during the re-challenge phase of the program. The more of a test food you can eat without symptoms, the higher your tolerance for that group. Of course, this can vary depending on the food and portion size you use for testing. Your tolerance can also change over time, so you may need to re-test it now and then. Monash University’s Department of Gastroenterology has done extensive research on FODMAPs and how they impact IBS patients. Using this research, they were able to figure out the average FODMAP threshold for IBS patients and create the Low FODMAP Diet. If you’ve downloaded the official Monash University app, you’ll notice each food is rated using a traffic light system. This system is based on how many grams of each FODMAP group the average patient can tolerate in one sitting before exceeding their FODMAP threshold. If you open a green light food in the app, you’ll often see the message: “Please note that the ‘green’ traffic light rating system allows you to eat multiple serves of ‘green’ foods per meal.” This is where we run into FODMAP stacking. 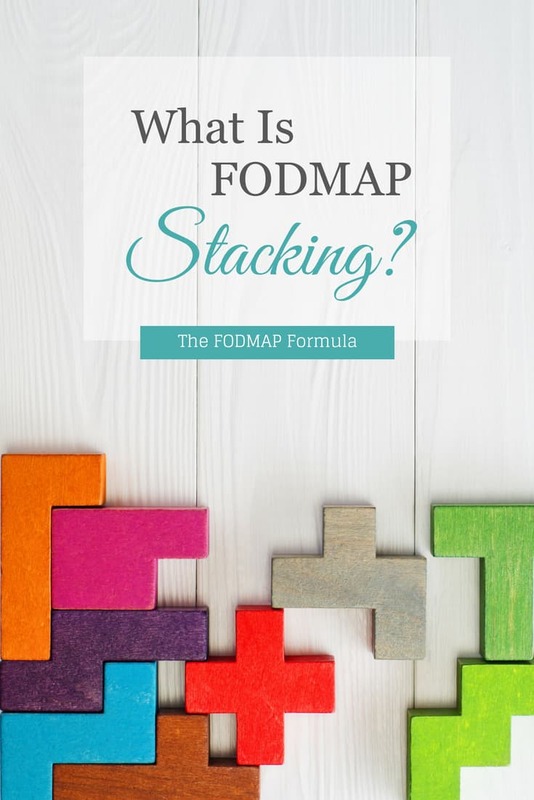 FODMAP stacking occurs when you eat two or more servings of food containing the same FODMAP group in one sitting (or in two sittings that are close together). This can happen even if the foods are both “green light” items. Think about your gut like a bucket. Depending on your FODMAP threshold, it might be a big bucket or a small bucket. But, everyone has a specific amount of space to store their FODMAPs. If too many FODMAPs are in your bucket at the same time, the bucket overflows and you experience symptoms. Now imagine you have one bucket for each FODMAP group. Because most patients don’t react to every group, some of the buckets may be huge while others may be medium or small. The size of the bucket depends on your personal threshold for each group. FODMAP stacking means you’re putting multiple servings of a FODMAP group into your bucket at a time. While the servings may be “green” on their own, sometimes they add up and your bucket overflows. So, if green light items stack up and cause symptoms, is anything safe? Before you panic, remember, stacking only occurs in foods that come from the same FODMAP group. This means if you have a safe portion of fructose and a safe portion of galactooligosaccharides, they won’t stack on you. 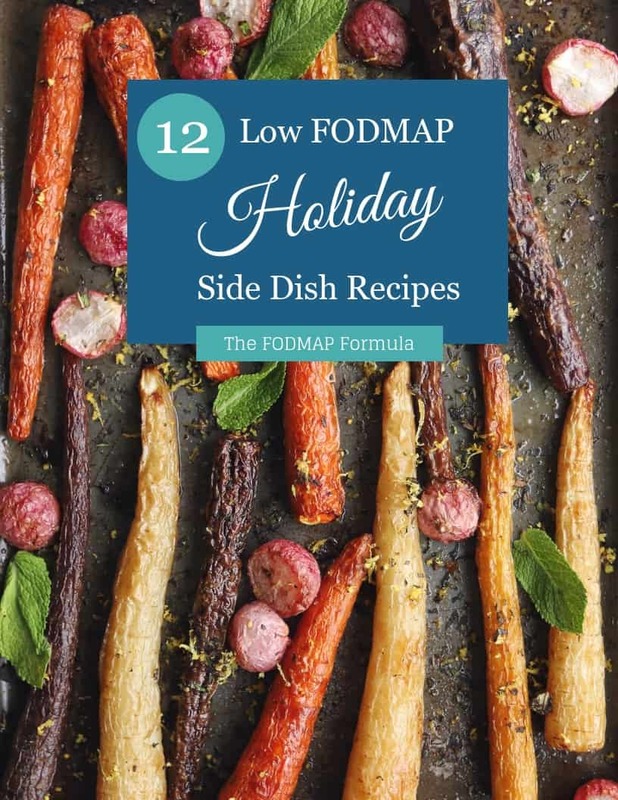 Since completely avoiding stacking during the elimination phase would be impossible, check out the recommendations below on how to avoid FODMAP stacking. Need some tips and tricks to avoid FODMAP stacking? The easiest way is to mix and match low FODMAP and “FODMAP-free” foods. If you look in the Monash app, you’ll notice that there are some magical foods that don’t contain any detectable FODMAPs in a standard serving. Monash says these can be eaten freely without adding to your FODMAP load (putting anything in your FODMAP bucket). You can grab a handy list of “FODMAP-free” foods from Diet vs. Disease here. There are also a few foods that do become high FODMAP eventually. But the serving size needed to make them high FODMAP is so high they’re essentially FODMAP free. You can read more about what Monash University says about these quirky foods here. 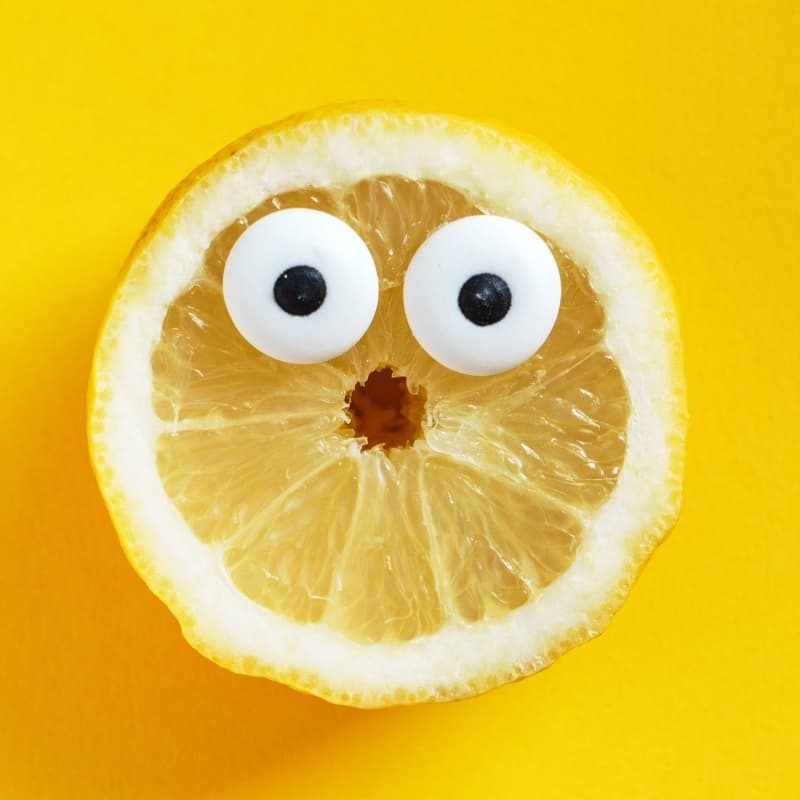 Another trick recommended by FODMAP experts like Joanna Baker (APD) and Joe Leech (RD) is to limit servings of related FODMAPs to 1.5 servings per sitting (3 hours). This means, if you want to eat two foods from the same FODMAP group, you can have a full serving of one and half a serving of the other. The exception to the 1.5 servings rule is fruits. Because fruits are often so high in FODMAPs, a single green serving of fruit can be almost enough to reach your threshold. This means mixing full servings of fruits can be a recipe for disaster! Did I just murder your morning smoothie? Don’t worry, you can still have more than one type of fruit in a sitting. You just need to make sure you don’t exceed a single serving of fruit. That might look like a half serving of banana and a half serving of strawberries, or 1/3 of a serving of three fruits. It doesn’t matter, as long as the total amount of fruits is equal to one serving, total. My final tip is to space out your meals and snacks throughout the day. This is to prevent FODMAPs in different meals from stacking with one another. Spacing out your FODMAPs might look like sticking to foods that can be eaten freely for your snacks. Or, you can monitor which FODMAPs you’ve eaten recently to avoid eating related FODMAPs too close together. A food journal can be exceptionally helpful with this. Just so you know, Monash has described a “sitting” as 3 hours. So use this as your FODMAP buffer. Why does it matter what you ate a few hours ago? Remember your FODMAP buckets? Plot twist! They’re actually more like a coffee filter. While 6 cups of water can work their way through a filter, if you pour it in all at once, you’d have a flood (and no coffee). Your gut works the same way. When you eat food, it takes a while for it to work its way through your body. If you eat a breakfast with fructose followed by a snack with fructose, the chances they’ll collide with one another in your gut increases. If, however, you eat the same foods 3 hours apart, they’ll likely travel through your gut as two separate servings. So, what is FODMAP stacking? Basically, FODMAP stacking occurs when you eat two or more servings containing the same FODMAP group. To avoid FODMAP stacking, try mixing and matching low FODMAP and FODMAP-free foods, follow the 1.5 servings rule (1.5 servings of a FODMAP group per sitting), and make sure you leave some space between your meals. The Monash University low FODMAP diet: Reducing poorly absorbed sugars to control gastrointestinal symptoms (5th ed.). (2013). Clayton, Vic. : Monash University. How to Survive the Holidays with IBS Do your IBS symptoms take the fun out of your holidays? Check out these practical tips and tricks for managing your symptoms over the holidays! 3 Common Myths about the Low FODMAP Diet Have you fallen prey to one of these common myths about the Low FODMAP Diet? Check out this myth-busting article to set the record straight! How to Cope with IBS-Related Bloating Sometimes you can do everything right and things will still go wrong. Check out this article for some expert advice on how to cope when your body feels out of control. Great post! I was just researching about FODMAP stacking when I come upon this! I’ve been on the low FODMAP diet for 2 weeks now since I was diagnosed with IBS. I’ve also tried the Monash app as well as some other great FODMAP apps from https://casadesante.com/blogs/low-fodmap-life/best-fodmap-apps. But I haven’t been enlightened about FODMAP stacking until I read this. Thanks for sharing! Glad you found this information helpful! 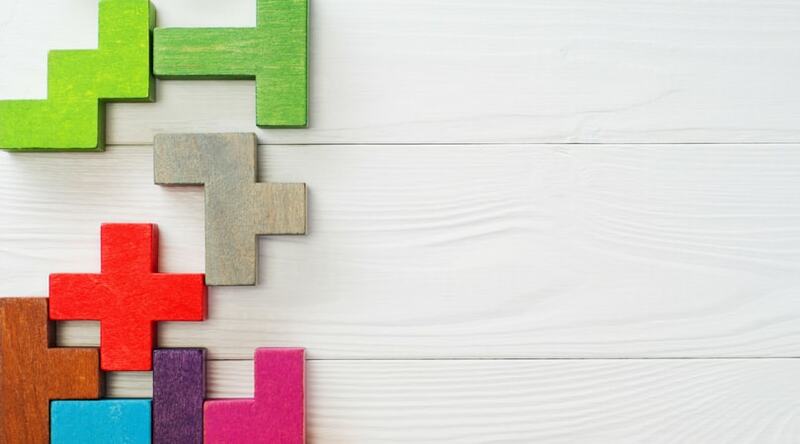 Make sure to check out my article section for even more handy resources.